Minnesota is far from traditional U.S. Hispanic populations such as those in Texas and Florida. 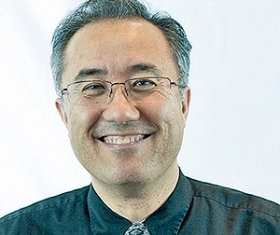 But even there, the market is growing, reports dealership manager Mike Choe. Choe's market of Burnsville, Minn., on the south side of the Minnesota River across from Bloomington, is not a growing community. Yet its Hispanic population more than doubled to 4,764 in 2010 from 1,722 in 2000, according to U.S. census data. "A lot of the Hispanic customers who come in are limited in their English language," says Choe, general manager of Burnsville's Park Chrysler-Jeep. "They might bring family members to help communicate, and even their children, who might have limited understanding of business and finance. So sometimes things get lost in translation." Park, which sells about 180 new and used vehicles a month, now has three sales associates who are fluent in Spanish, in addition to other Spanish-speaking store personnel and an Internet department dedicated to Hispanic customers. The dealership's Web page is available in Spanish, as well as other languages. While some Detroit 3 brands lost market share among Hispanic consumers last year, Jeep posted a notable increase -- to 3.5 percent of the segment from 2.7 percent in 2013, according to IHS Automotive. Yet many of Choe's Hispanic customers get turned away from the new vehicles they want to buy, he says. They do not meet residency requirements, or they lack adequate credit histories. Choe has begun offering educational seminars to teach customers how the process works, how credit works in the United States, and how they can improve their situation. The dealership also works with them to baby-step their way into new-car purchases, selling them used cars with easier payments to establish credit. "These are people who are vulnerable to someone taking advantage of them and gouging them," Choe laments. "We won't do that. We want them to get their financial picture to where it needs to be so they can move up and buy the new car they originally wanted. "What you will usually find with Hispanic families is that they are very loyal to people who treat them well. The referrals will come -- from their families, from the rest of the community and from their churches."